“Are you human or are you dancer?” ask the Killers in their hit song “Human”. My question to you today is are you human or are you zombie? Are you living a life that is too small for you? 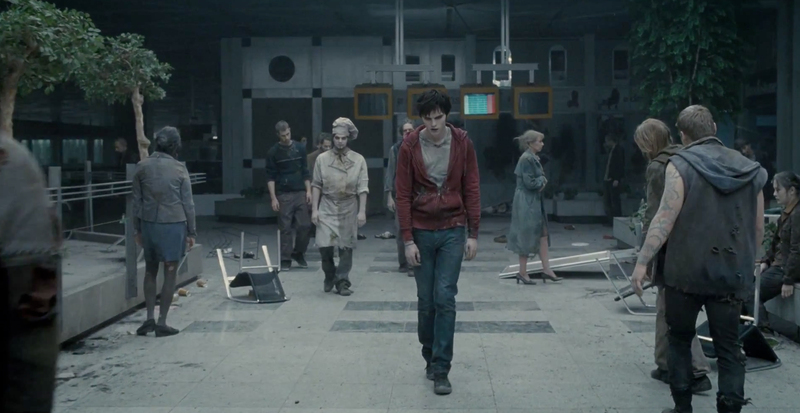 Zombies are quite hip at the moment, whether it’s the new film genre Zomromcom, such as the recent “Warm Bodies”. Or even zombies on the news last night in a feature on the zombie economy! Or how about the apparent terrorizing of the residents of a small US town! A spoof news story aired about zombies taking over the town, which scared many residents into picking up the phone with some concern about where the zombies might be! Too many of us are deliberately numbing ourselves with alcohol, food, the internet and any number of other distractions that substitute really living. Too many of us are fearful, risk-adverse, not following our (perhaps increasingly insistent) calls for adventure, reflected in low energy, low mood, lack of inspiration, leading us to be passive, feel stuck, preventing us from literally leading our lives. Too many of us are semi-frozen, waiting for something to happen. When have you felt most alive so far in your life? Think of 3 defining moments when you have felt lit up, excited, on a journey. I would like to invite you on a journey to the edge of your comfort zone, to your own call to adventure, your own exploration of what genuine adventure, passion and inspiration means to you. The answer is different for everybody, just as your own call to adventure is unique. But for everyone it means waking up, experiencing life fully through all senses, your mind, heart, your body and your soul and looking for the answer to the question: what will bring me fully alive? In the film “Warm Bodies”, it is love and the depth of heart-connection that turns zombies human. Inspiring work that reflects your values, uses your strengths and allows you to make your unique difference in the world that is also de-zombifying! Whether your call to adventure involves your work, love, a particular quest that is yours alone, it will almost certainly involve joy and deliberately choosing joy in your life. So let me ask you again, what inspires you? What brings you alive? What makes you joyful, fully human, not going through two-dimensional choreographed dance routines or living a choreographed two-dimensional life created by someone else? – At university whilst out with a group of friends one night we found that the student bar had been left open and the juke box was still working… so deciding to dance all night! I remember Bruce Springsteen’s “Born In the USA” CD featured strongly! – In Connecticut, in the USA for the first time, walking through a luminously bright cold autumn morning to my first class teaching 18 year-old freshmen English 101, shaking so much that my coffee was spilling. And let me know if I can help you on your journey.